The manifold system, usually surface mounted, allows several converters to be connected to a single air supply and is available in different lengths. 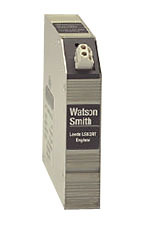 *Proof Pressure 10bar (150psig); pressure should be regulated to converter requirements. WARNING: maximum pressure should not be exceeded for safety reasons.